Good morning, folks. Happy Monday! Call me crazy, but I actually like Mondays. The start of a new week, the familiar routine… (Don’t get me wrong, I would so much rather have an eternal weekend!) But I just don’t mind Mondays, is all. Who doesn’t have a case of the Mondays? 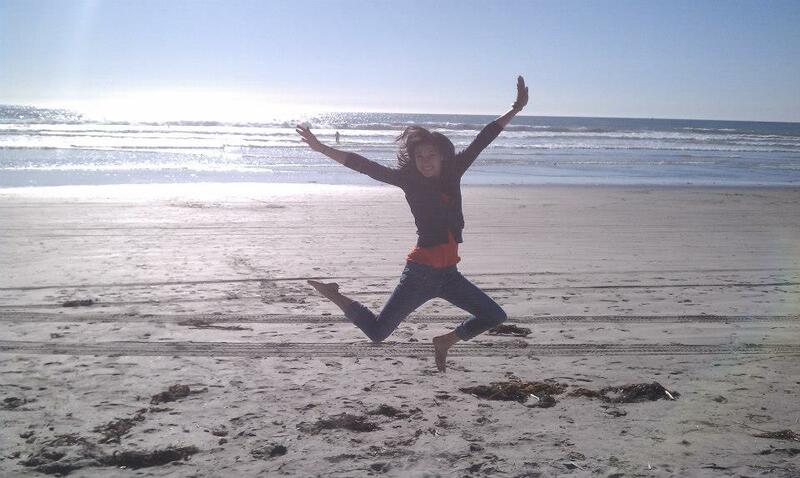 This girl! 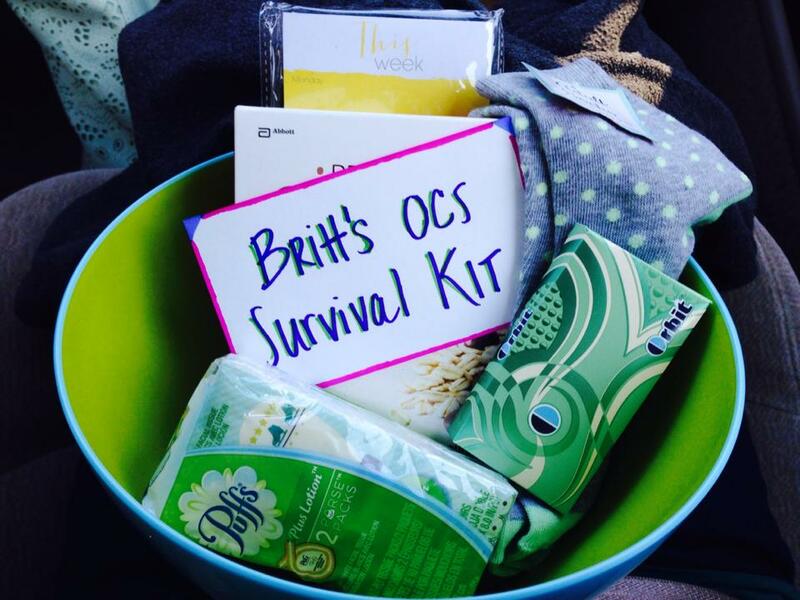 (For more on Care Packages for Military Spouses, check out this post). Today’s topic? 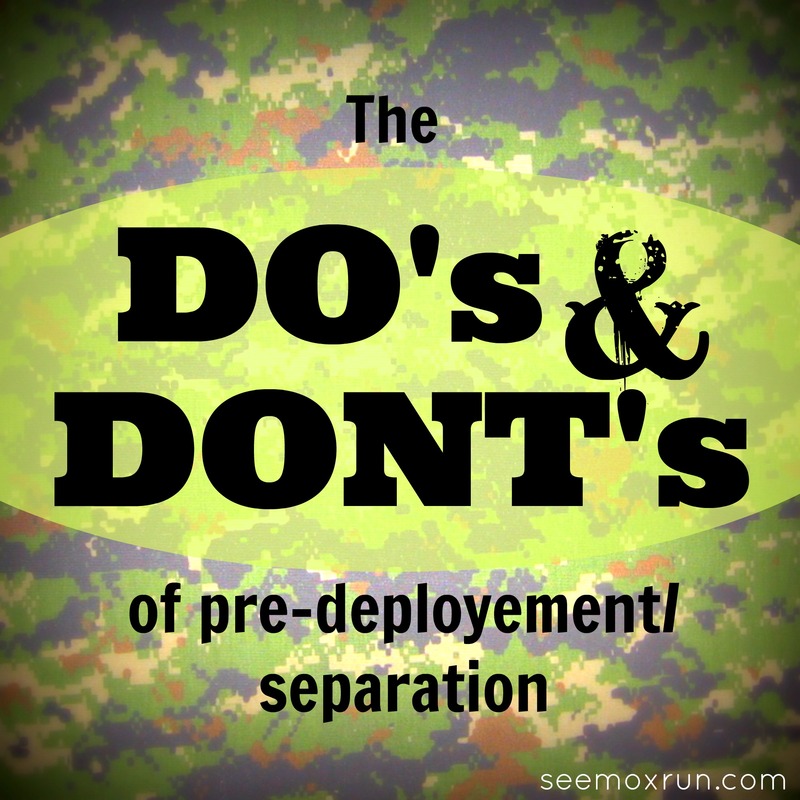 Do’s & Don’ts for those last few weeks/days leading up to separation. FYI: This isn’t exclusive to military deployments. This advice can be helpful to anyone who is about to be separated from their spouse for any reason or period of time, (i.e. business trips, short trainings, week-long hunting trips…) So if you know anyone in that boat, feel free to pass this along! DO – be intentional to make quality, alone time before separation day. This may sound obvious, but you’d be surprised how quickly those last few weeks pre-deployment fly by. You’ll both be busy preparing and saying goodbye to friends and family, that it’s really easy to fill up your calendar, quick. When you find out about the separation, make the first thing you schedule in the quality alone time, and don’t push it around to meet other people’s schedules. DON’T – develop a victim mentality. (Mentioned above). DO – rely on the support of friends and family. The loneliest night of the entire deployment was the night Jason left. I drove back to the hotel room after saying goodbye, got ready for bed, and crawled under the empty covers alone. It was a bizarre, lonely feeling, and I would have loved to have had friends or family to hang out with that night. People may vary on this, but I would suggest staying with a close friend or family that first night apart, then work your way back into routine from there. The first cut is the deepest, baby I know! DON’T – worry! Being apart is going to be hard, but you’re going to make it. Spend less time worrying about how sucky it’s going to be and more time trusting God’s plan and purpose for you and your spouse during this time. He is going to teach you so much during this time apart, and grow and bless your marriage as a result of it. You’re going to learn to rely on Him in new ways, subsequently growing in intimacy with Him. Don’t waste any energy worrying about what you cannot control. He’s got this! There ya have it, folks. Hope this advice blesses you (or someone you know) in some way, and feel free to comment below for any additional advice or experiences you may have! Good luck with your upcoming separation, and know that I am thinking and praying for you! 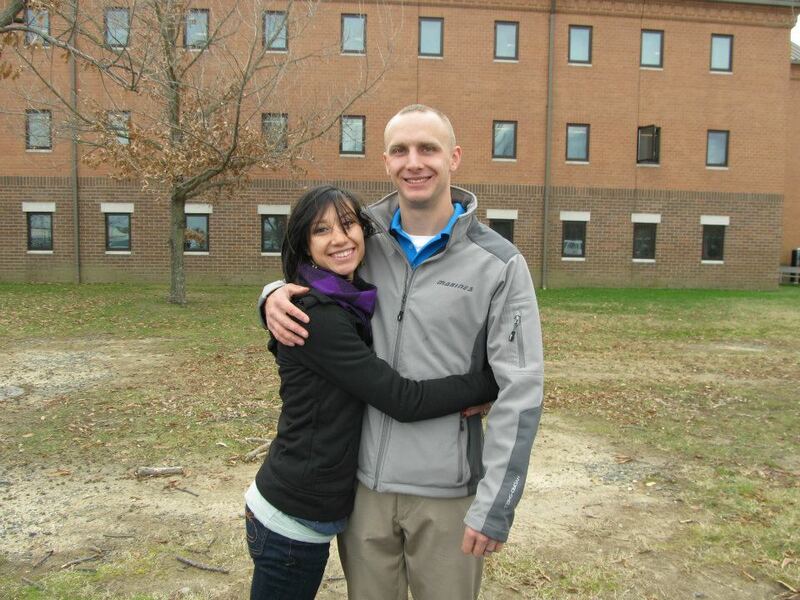 Reunion after our first time apart in the military, (Officer Candidate’s Course, 10 weeks).